It’s a Leung way from Dublin to Belfast! Comments Off on It’s a Leung way from Dublin to Belfast! 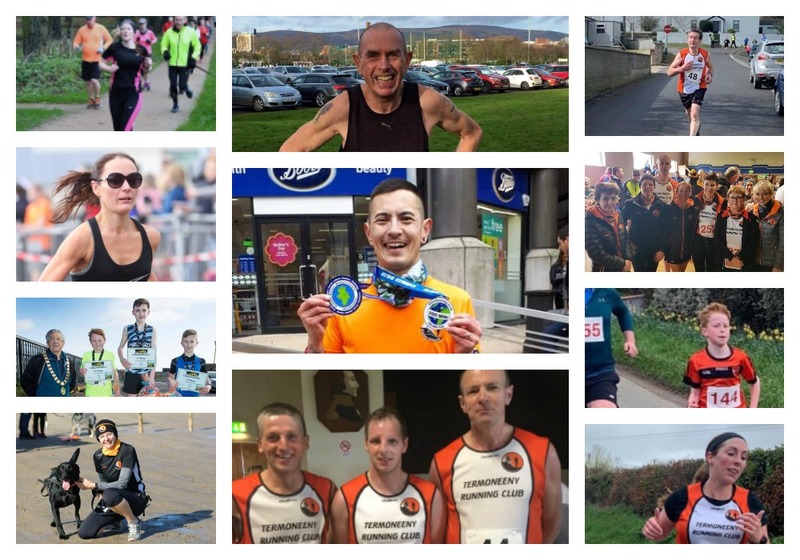 Termoneeny Running Club is very fond of the phrase ‘tough runs don’t last, tough runners do’ and this was particularly apt for the challenge that Declan Leung embarked upon on Saturday. The ATLAS Running Ultra Marathon was an event where participants were given the task of running from Dublin to Belfast. This was exactly what Declan did and he managed to cover 100 miles inside the 24 hour time target with a further 7 miles added on after that. His total journey time on foot accumulated to 25 hours and 30 minutes with short stops to refuel and rehydrate. Fellow club member, Jacqueline McGonigle, provided excellent support along the way. It is an incredible achievement for Declan and the club is very proud of his accomplishment. Bellaghy was buzzing on Saturday morning for the annual Church Island 5k/10k. It was particularly popular this year because it was held in memory of the recently deceased and very much missed Paul McKeever with all proceeds from the event donated to Action Cancer. There were plenty of Termoneeny members in attendance and the club is delighted to report that Orla Hatt was the first lady home in the 5k and Thomas Doherty was third overall in the 10k. Everyone ran brilliantly and greatly appreciated the warm hospitality from Church Island Runners and Bellaghy GAC. Special mention goes to Catherine’s son Sean McPeake (9) who was the first male U16 in the 5K, finishing in a time of c. 22 minutes! – congratulations Sean. A future Termoneeny star in the making! Lindsay Gibson continued her strong running form at Antrim Parkrun on Saturday by finishing in a fantastic time of 28:44. Well done Lindsay. The club’s Chairwoman, Jacqueline McGonigle, took part in the Waggy Races 5k along with her trusted canine companion Bobby at Portstewart on Sunday morning. They ran across the difficult sandy terrain together and finished the 5k in a super time of 33:44. A tremendous performance from Jacqueline and Bobby. The over 55 Irish 10k record was broken once again by the club’s own Tommy Hughes in the Titanic 10k on Sunday. Tommy ran an amazing time of 33:26 which once again makes him the fastest Irish runner at this distance for his age category. He recently broke this record at Jimmy’s 10k in Downpatrick with a result of 34:45 but the flat and fast course at Titanic ensured that he smashed it once again. Shane Hurrell had a fantastic race and completed the course in an extremely fast time of 41:03. Nicola Sargent made a strong return to the racing scene and finished in a super time of 45:27. Anne O’Doherty had another superb performance and achieved a great result of 45:51. It was also a welcome return for Damien Trainor to racing and he secured a brilliant result of 50:55. Luke O’Doherty, the son of members Gary and Anne O’Doherty, picked up the second place prize for the 1 mile junior race. It was indeed another great day for the club. Please note that the Termoneeny 5/10k 2019 will take place this year on the evening of Friday 10th May and registration is now open. Everyone who enters online pre-race will be entered into a raffle to win a Garmin Forerunner 35! Please see our facebook page and website for details. Following on from the successes of previous c25k programmes, a six week 5k to 10 k programme begins on 2nd April and will be taking place on Tuesdays and Thursdays. It will be led by TRC member Declan Leung who is qualified with Leadership in Running Fitness. This is available to both members and non-members. Please see the TRC facebook for more details. Thanks and congratulations to all of our members who continue to represent the Club so well throughout the country and further afield in a variety of distances and disciplines. If you are interested in joining Termoneeny RC please visit termoneenyrc.com or send us a message on facebook. You can be assured of a warm and friendly welcome. ⇐ Another record breaking weekend for Termoneeny! Another record breaking weekend for Termoneeny! Tenth for Tommy in Derry!